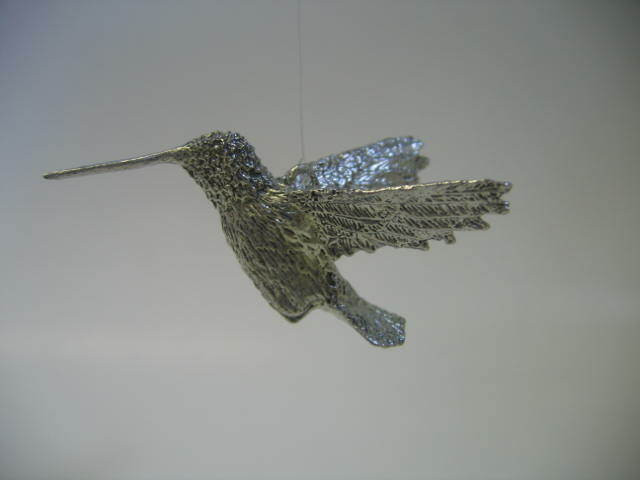 Come Tour the Mine, Cast Your Own Pewter Hummingbird, and Cast a Pine Needle Casting! We have the only pewter mine in the world. We are the premiere pewter caster of Colorado. You can pour your own pewter sculpture! 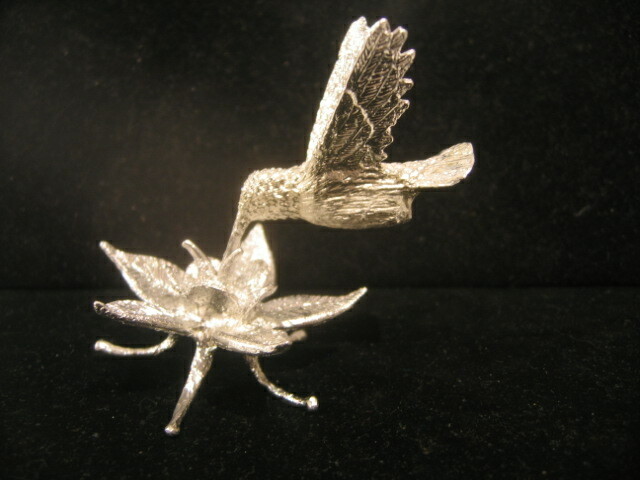 We also produce our own Sterling Silver Jewelry. You can cast your own Pine Needle Cast Jewelry! We are in Estes Park, Colorado. You can come and visit us! We cast the sculptures of Don Norris in our casting studio in Estes Park, Colorado. We are located in the Old Church Shops located downtown at 157 West Elkhorn. We give tours of our "pewter mine' and our casting studio. Your entire family will enjoy their tour through our world's only "pewter mine". It is fun, exciting and education. After the mine tour we will demonstrate how we cast pewter, and everyone in your family can cast a Hummingbird ornament for free. If you decide to keep it you may purchase it at a very affordable price. We, also, let everyone pour a Pine Needle Casting! We melt 999 Fine Silver (pure Silver) and you can pour it into a bundle of pine needles. This creates very beautiful one of a kind, unusual piece of jewelry. Then if you want to keep it we will solder a ring on for the chain to go through. After soldering we will polish it for you and put it on a 20 inch Sterling Silver Chain, and give you a pretty gift box, too. We invite you to come and have fun at the Pewter Mine. If you like you can call and make reservations to insure your spots on a tour: 1-303-517-1068.